Helping the transition to parenthood for parents, particularly if they are vulnerable, is a key part of the health visiting role. 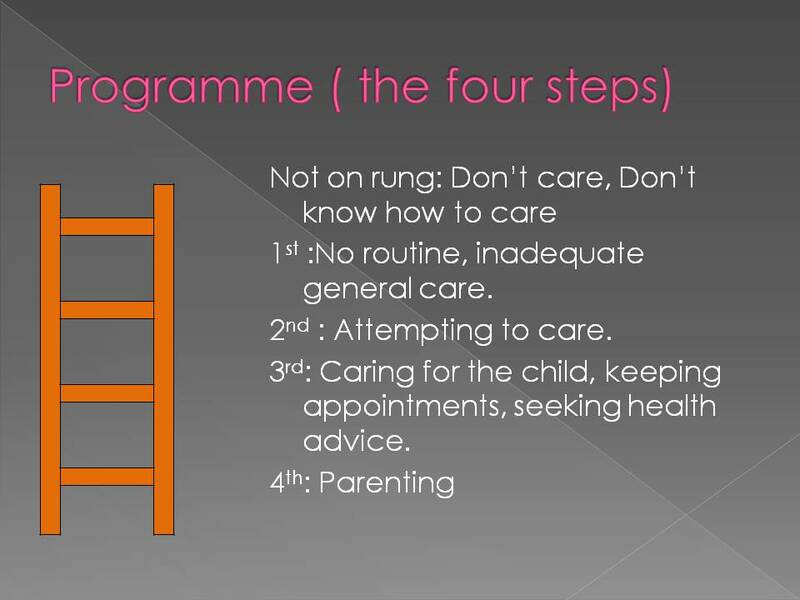 In South Warwickshire, health visiting teams are using the ‘Parenting Ladder’ to offer bespoke support to parents so they can focus on their child’s need. It was designed to support a young couple with children, where serious concerns around their care had been identified. In the area, the partnership plus model of the healthy child programme helped health visiting teams discover that insufficient progress had been made, regarding the level of care, as well as time restrictions imposed by a child protection plan. To overcome these problems, a targeted strategy was introduced to help the parents. 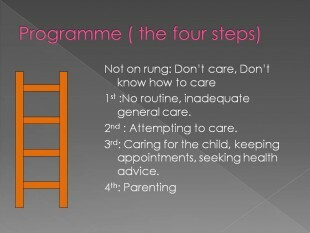 Health visitors used a visual tool to explain each stage - a ladder with four rungs, each rung representing a level of care. Using the ladder and action envelopes, the health visitor explained the changes required to reach the next level. On each monthly visit, the action envelopes were used to enable the parents to focus on selected core activities covering things like health, safety, social and emotional development, nutrition, relationship-building and community activities. The parents decided on the four core activities to pursue. The parents pulled together a scrapbook to keep photos, memorabilia, appointment outcomes and record observations on how their child was feeling. It helped parents see their child’s strengths and vulnerabilities, and helped them learn how best to support their child. Over a period of six months, the parents truly engaged with the process, and were eager to share their experiences on the activities. And the outcomes were great. Conditions at home improved, health appointments were kept, the children regularly attended their nursery and, above all, the parents showed affection towards their children. The parenting ladder seems to be a vehicle that not only motivated the parents to reach for better outcomes, but also appears to have improved the bond with their children, together with strengthening their own relationship.